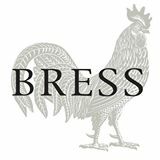 Bress is a welcoming vineyard and sustainable mixed farm situated just 90 minutes from Melbourne. We craft fine wines, ciders & produce using biodynamic practices from a variety of regions in Victoria. We welcome visitors to our cellar door and the Bress Kitchen at our property in happening, happy Harcourt!